This tour is for you … that are looking for a good challenge and yearn for an awesome adventure. 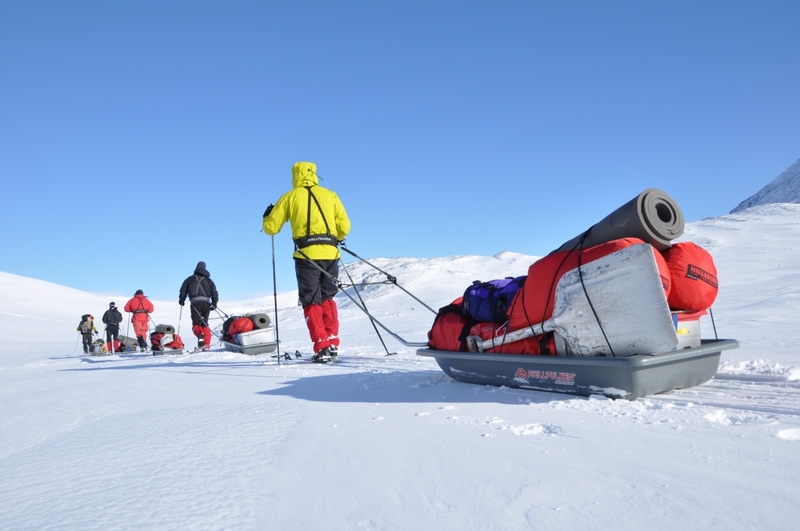 Sarek ski expedition is our toughest turn and it makes great demands on you as participants. 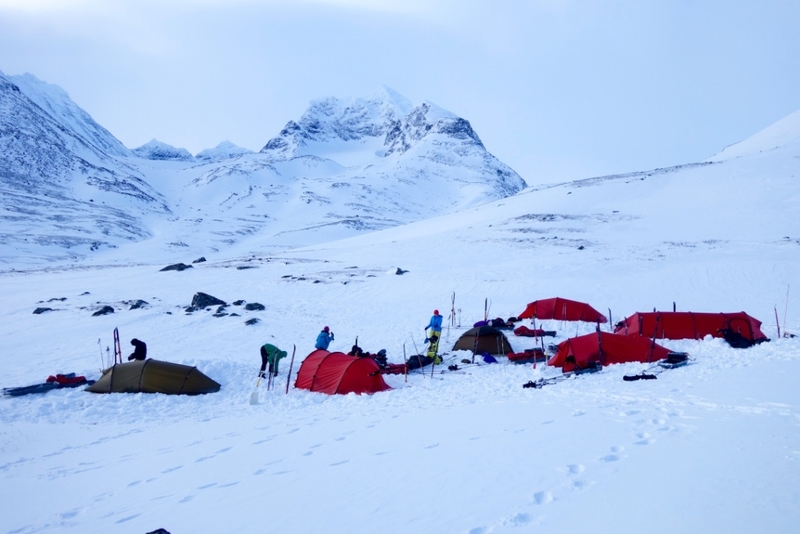 You should have a decent ski habit at cross country skis, have been camping before preferably in winter, be aware of your limits both physically and mentally and you have to be able to work in groups. If you have this, we have the rest of knowledge, equipment and a security organization. This is included in the package Local trained and experienced guide(s), transport; minibus from Jokkmokk to Ritsem, snowmobile across lake Akkajaure. Accommodation in shared cabins at Kisuris /Kutjaure1 night, Parte cabins 1 night, Asgard hostel 1 night and Saltoluokta mountain lodge1 night. 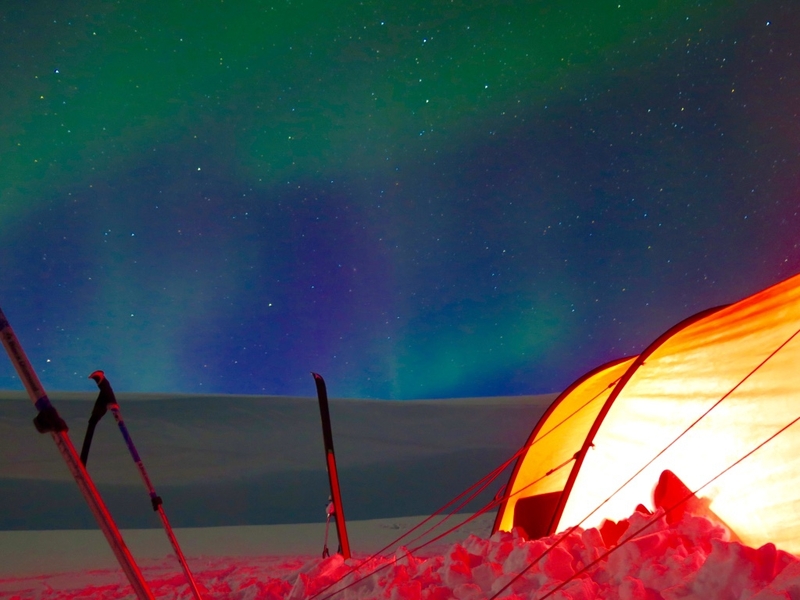 5 nights in tent, BC ski equipment, ski sleds, sleeping gear and safety equipment. All meals from dinner in Jokkmokk to breakfast at Saltoluokta mountain lodge on departure day. 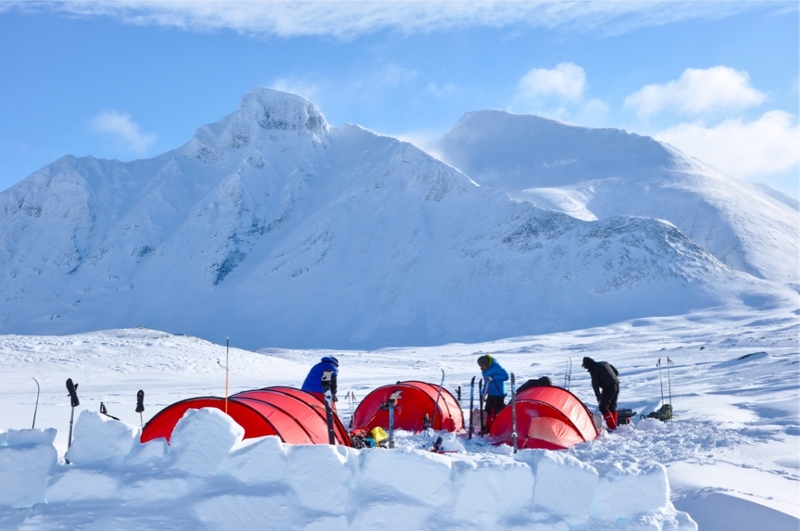 Equipment: CreActive Adventure AB and Outdoor Lapland provides ski sleds, BC ski equipment, camping, cooking and safety equipment such as winter sleeping bags, madrasses, tents, gasoline stoves, thermos, GPS navigator, satellite telephone and first aid kit. 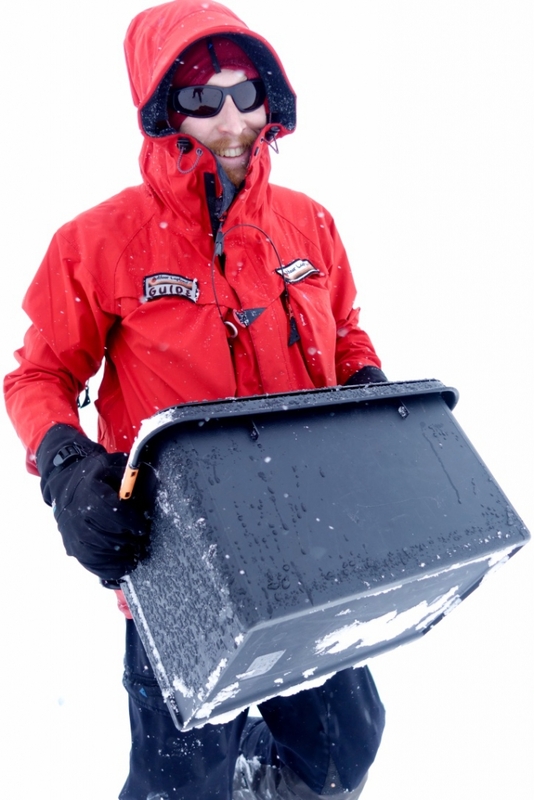 You the guest must provide overnight gear such as a thin sleeping bag that you can put inside the winter sleeping bag, as well as clothing for mountain conditions (see recommendations for winter clothing). It is possible to rent equipment from us such as clothing, backpacks, etc. 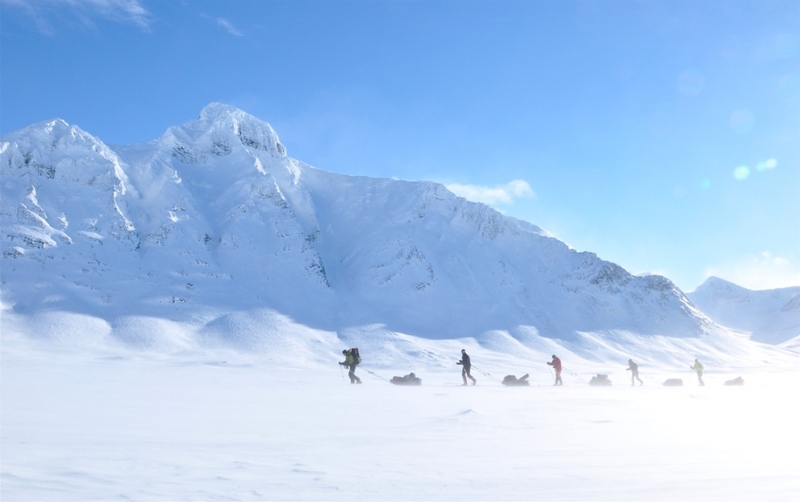 Finishing point: Saltoluokta mountain lodge. No. days: 9 including arrival day and departure day. Degree of difficulty: Very demanding, normal physique. Proviso: the weather may make it necessary to alter the route. 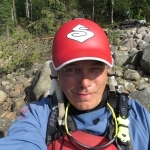 Insurance: CreActive Adventure AB and Outdoor Lapland has provided travel guarantee security to the Swedish Legal, Financial and Administrative Services Agency and taken out liability insurance with Lansförsakringar in Norrbotten. Guests should ensure that they have valid travel insurance.